Unicorn Bath Soak – The Bath Just got Magical! 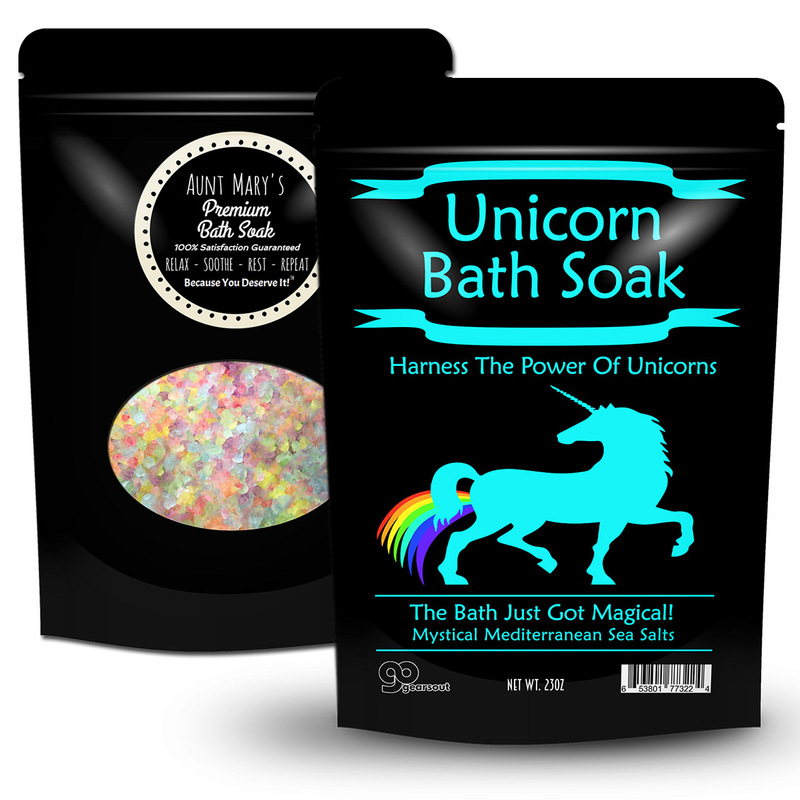 Harness the beauty, majesty, and whimsy of unicorns and rainbows with Unicorn Bath Soak! Unicorns aren’t just the mystical beasts in fairytales, but also the amazing, mesmerizing, and mysterious ladies in your life. Treat those gorgeous unicorns to an indulgent unicorn bath soak that will have them feeling absolutely magical. 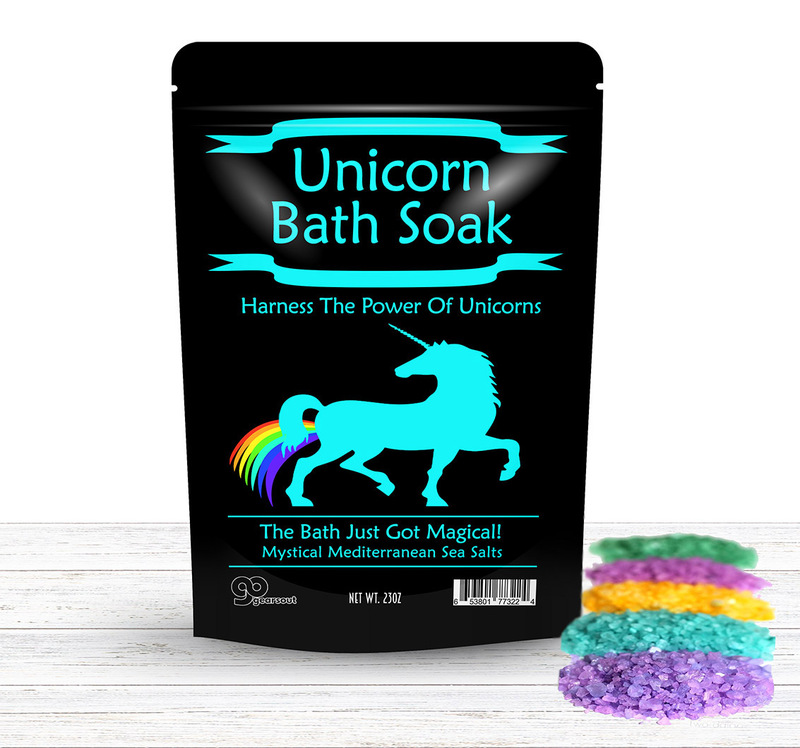 Unicorn Rainbow Bath Salts are a thoughtful, funny gag gift for all the girls, teens, and women on your shopping list. It’s a charming, and delightfully unexpected addition to Easter baskets, holiday care packages, and gift baskets. Slip a bag of this pretty pampering gift in as a funny stocking stuffer, or wrap it up as a silly, yet useful white elephant gift. Need a fun bridal shower or bridesmaid gift? 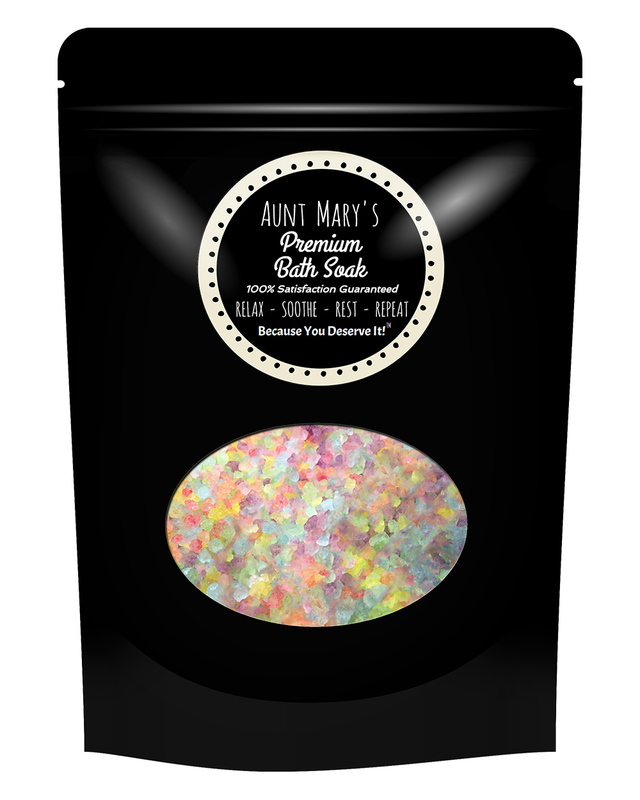 Give them the gift of rainbows, unicorns, and luxurious me time!